Tis the season to be jolly -- and to celebrate Christmas, Hanukkah and Kwanzzaa! After decorating the caboose puts Barney and his friends in the holiday spirit, they trim the Christmas tree in the snow-covered park. But something's missing -- the shiny, gold star for the treetop! So it's "over the river and through the woods" to grandmother's attic to search for the missing star. Just imagine all the treasure they discover -- little drummer boys and an antique typewriter that's perfect for writing a letter to Santa. 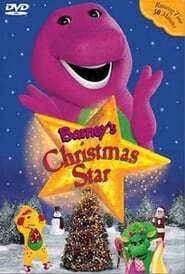 After reenacting the classic poem, "The Night Before Christmas" the children celebrate with friends and family as Barney places the Christmas star atop the tree!